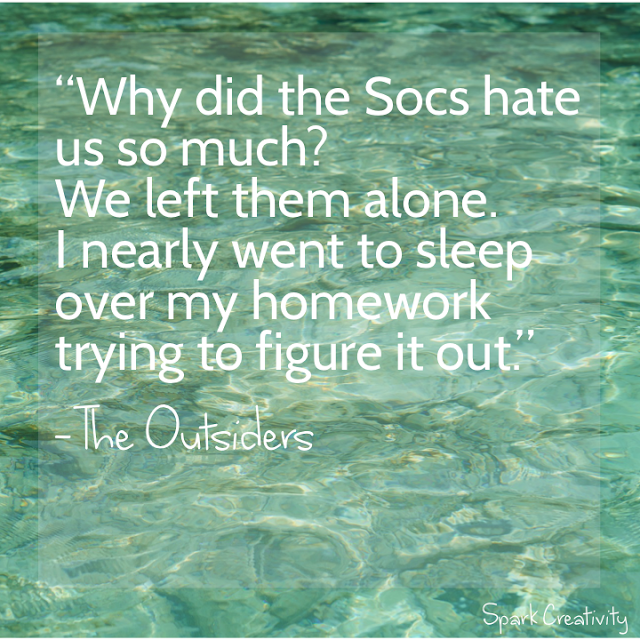 I have to admit that it took me several years of reading students' rave reviews before I read The Outsiders. The picture on the cover seemed dated, the title not particularly exciting. But I knew my students were connecting with it. Year after year, someone picked it off the shelf as part of my outside reading program, then passed it to a friend, who passed it to a friend, who passed it to yet another friend. So I finally read it. I squeezed it into an insane last minute spring break trip to Florida with my two children under five. And that's how you know how good it is. Now I'm here, telling you that you must have it on your classroom bookshelf. What The Outsiders has to offer your students is a deeper understanding of the ways we are all the same. As the protagonist struggles to understand the obstacles placed before him and those he cares about, he straightforwardly addresses issues of social class, cliques, hate, bullying and misunderstanding. He goes through hell and back, and he comes out of it with an intense desire to change the way people understand each other for the better. Instead of breaking, he bends, becoming even more deeply compassionate. 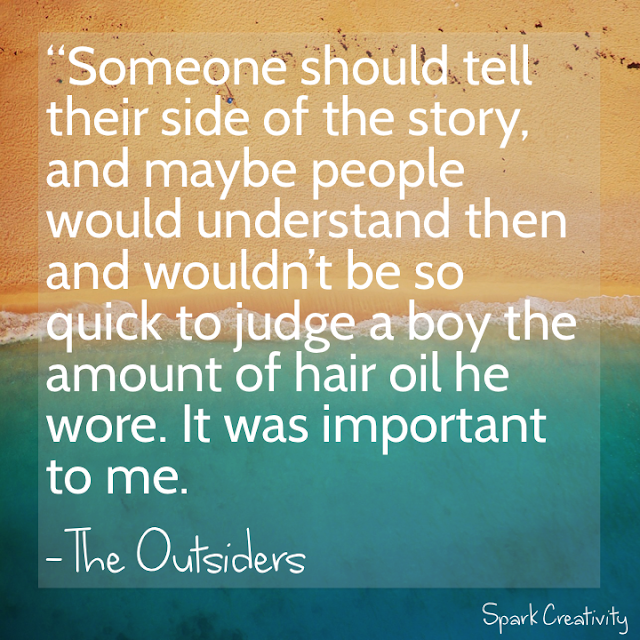 Written by a teenager, the novel tells the story of Ponyboy, a young man enmeshed in the society of "Greasers" who are in a constant battle with the "Socs." Readers can easily connect the hatred between these two groups with the hatred between any cliques, between countries at war, between racial or social groups all over the world. It's a hatred that seems founded on nothing but tradition, and yet it defines life for both groups. Ponyboy tries hard at school, loves to watch the sunset, wishes he could get to know some nice girls, and cares deeply for his best friend Johnny, who not only is constantly abused at home but has been beaten up brutally by the Socs. He lives with his brothers since the death of his parents, and he cares deeply about them too. As we view the world through Ponyboy's eyes, we question it as intensely as he does, and that questioning cannot help but extend out away from the book to what we see in real life. 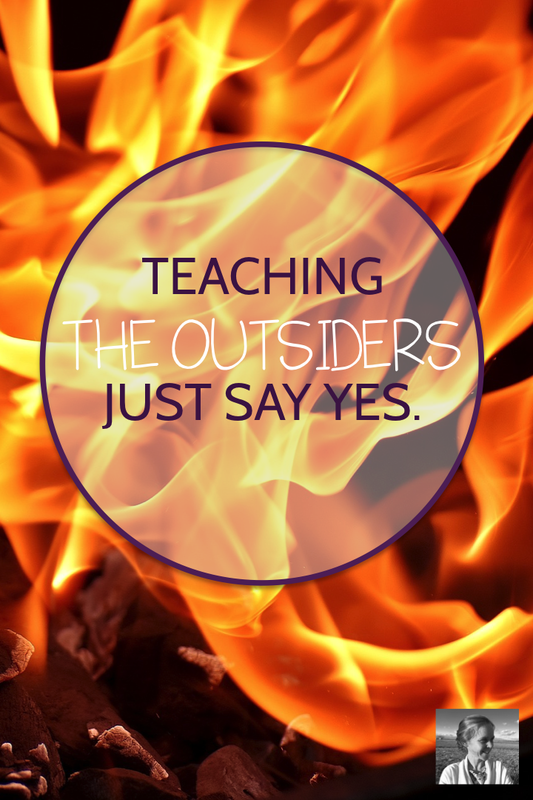 Some adults shy away from the intensity and violence of The Outsiders, but students never seem to. Perhaps its because they recognize the intense feelings from their own lives and social struggles, whether they actually encounter violence or not. 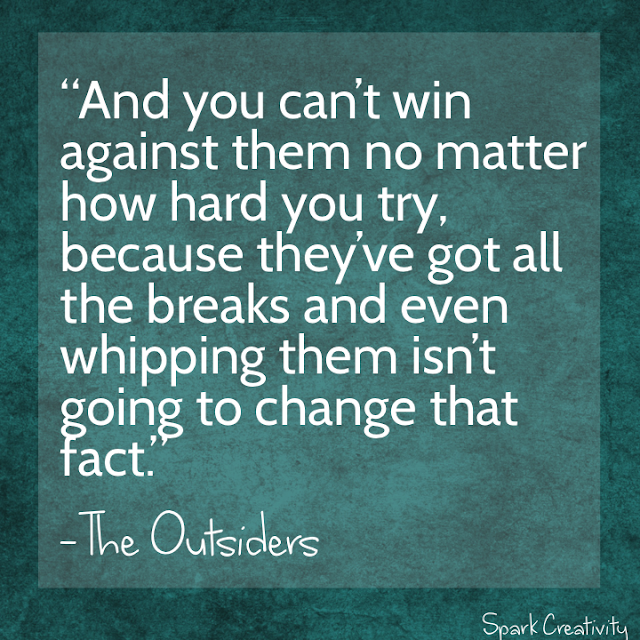 What I love about The Outsiders is that though it honestly explores some terribly difficult themes, the overriding message is one of hope and understanding. In the end, Ponyboy comes to a place of true compassion and empathy for the other boys in his life. As the events unfold, he shares his realizations - about a boy he thought cared about nothing but violence and surviving the streets, about his true friend Johnny, about the sacrifices and dreams of his brothers, about a girl and a boy he gets to know from the opposing social group, the Socs. In the end, Ponyboy decides to take a stand for what he believes. To try to make a difference in the lives of the people around him by sharing his story (which, in circular fashion, turns out to be the book we are just finishing) and his newfound belief in learning to understand other people without judging them. I'm sharing The Outsiders this week as part of a collaboration with several other bloggers around the themes of Equity, Empowerment and Empathy. We believe that now, more than ever, we need to work with our students to understand others who may be different from them. In our currently divided society, we face a situation not unlike the hatred between the Socs and the Greasers. By sharing this book with your students, either as a class novel or as a much-touted independent reading option, you can help them break down some of the walls being built in America today. It is impossible to read this book without thinking about the divisions and hatreds that exist around us, why they are there, and what we can do to get rid of them. Therein lies its importance. I've created a free resource for you to use if you decide to use The Outsiders in your class. 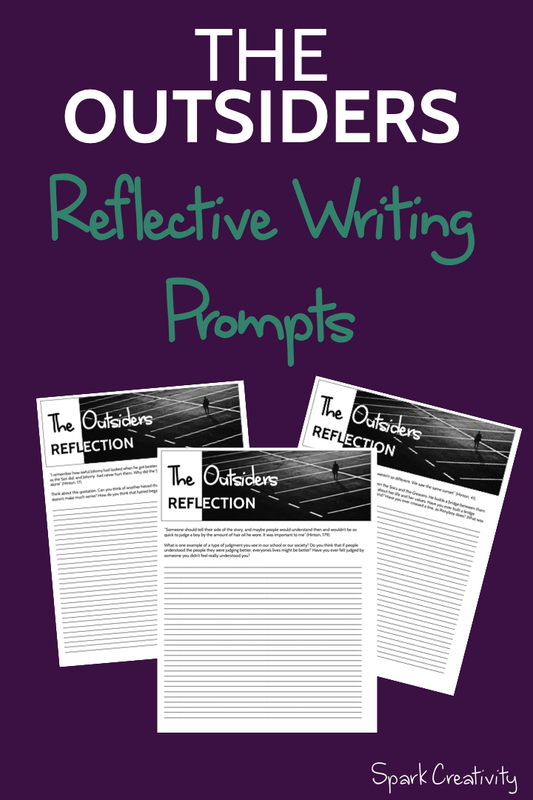 It's a series of three reflective writing prompts to help students focus in on moments in the text that question hatred and build bridges. You can get it here. You can also find more posts on the themes of equity, empowerment and empathy by checking out the linkup below. 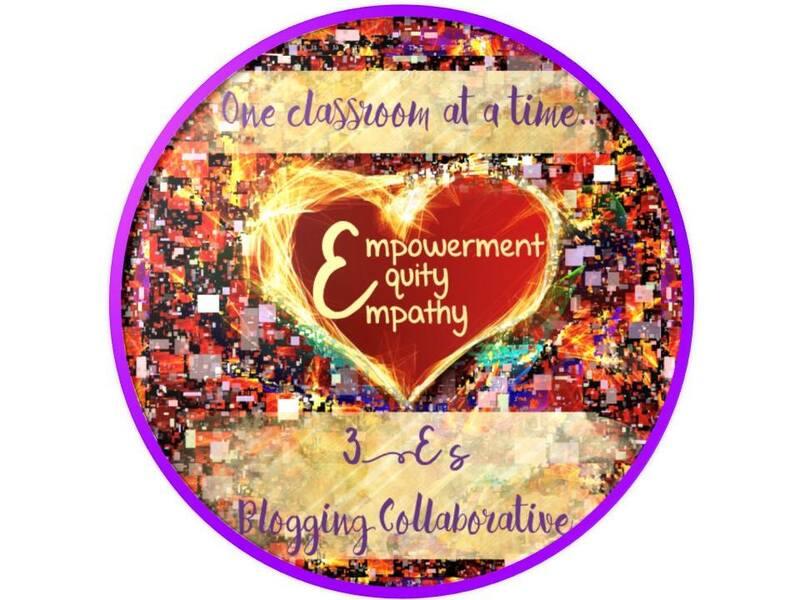 Each blogger has created a free resource to help you focus on these important themes with your students. Looking for more places to talk teaching and get creative ideas for class? I'd love for you to join my free Facebook group, Creative High School English! This is the power of literature. It allows us to work out problems, like some sort of REM state while we are reading, in a vicarious & non-threatening way. It gives us a script and a place to ponder the tough stuff so that when we are faced with it later on, we've had practice. I have to read this book. Thank you. You have inspired me to reread this classic with an eye on current events. 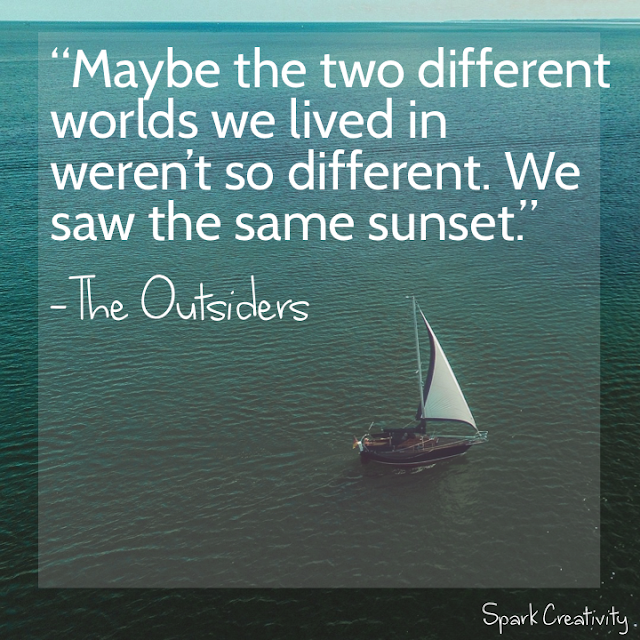 Thank you for sharing your thoughts and some great quotes in this beautiful post!